As experts of in-building wireless communications, Spectralink has purpose-built our solutions for the modern enterprise. 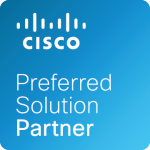 And as enterprise phones and applications evolve and as your organization grows, our solutions are smart enough to interoperate with Cisco platforms, giving you the freedom to adapt your mobile solution to meet your business needs and Cisco’ future technology advancements. Our best-in-class enterprise mobility solutions will empower your mobile workforce, to do their jobs more efficiently. You can choose to implement our enterprise-grade, rugged at its core, DECT solutions that are tough enough to endure the harshest environments or our Wi-Fi solution, via the Spectralink PIVOT:SC handset the superior enterprise smartphone, on Android™ platform, that is known for its ease of use, ergonomic design, and seamless Voice over Wi-Fi (VoWi-Fi) roaming voice quality. Plus, benefit from the technical collaboration between Cisco and Spectralink that has jointly delivered both advanced IP- DECT integration and interoperable Wi-Fi solutions via Cisco’s Unified Communications Manager, Hosted Collaboration Solutions and Cisco Business Edition, so your business can enjoy Spectralink’s feature-rich, cost effective, flexible, and highly secure in-building wireless solutions. 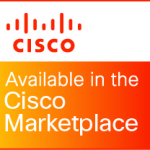 All are available through the Cisco Global Price List, making purchase and implementation simple.